Juliana Chuan is a graphic designer and artist based in Florianopolis, Brazil. Chuan creates a lot of fantastic work but in her recent project “Mosaic 8 Bits” she took a page out of French street artist Invader’s book and created 8 Bit mosaic tiles left for the streets. We posted up only a few days ago REVOK and CES battling the urban elements to get up in the Lower East Side of Manhattan in Diego Bergia‘s mock video game which pays homage to Street Fighter. In Bergia’s latest installments of his video game, we have a couple new short clips. One is an introduction to GIANT and another being GIANT and REVOK bombing a clean train. 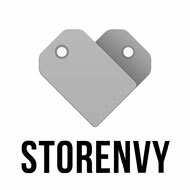 2 new videos after the click! This is one of the most incredible things we’ve seen in forever (we know we say that a lot). But damn, look at this. 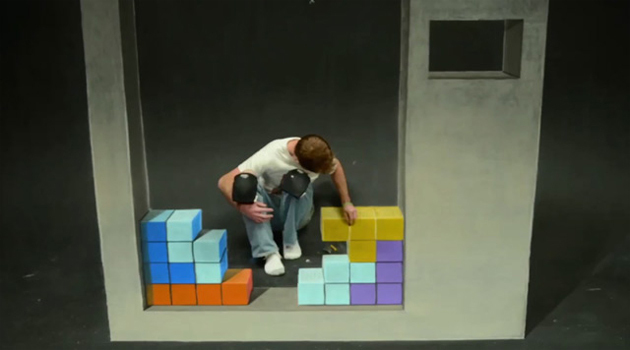 Chris Carlson, a Denver-based artist, creates a Tetris stop-motion animation illusion video out of chalk! Video after the jump. 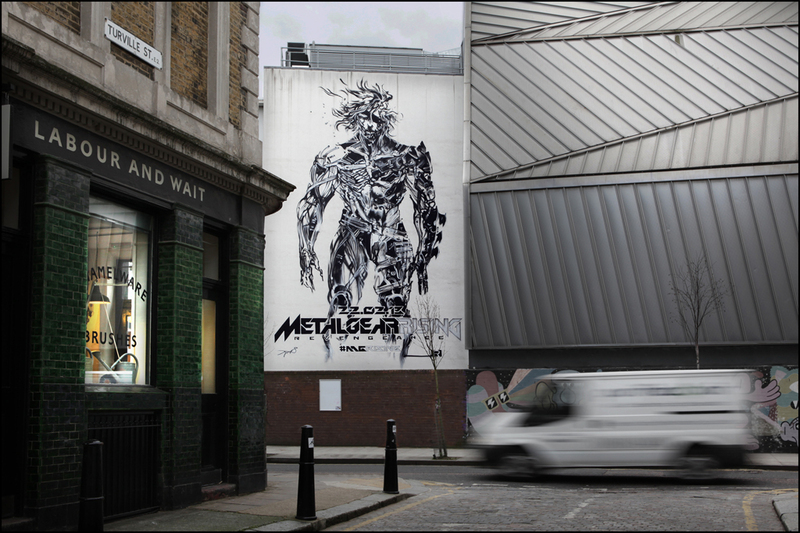 Digital artist Diego Bergia (aka LEPOS), has yet again immortalized graffiti artists through another instalment of his mock video game. In this “level” we have graffiti artists CES and REVOK battling the urban and mechanical evils to get a throw up done. What do you get when you cross a pumpkin with one of the most influential video games of all time? Pumpktris. Built by HaHa Bird, Pumpktris is a playable video game that is essentially Tetris and can be played by using the stem of the pumpkin as the joystick. As you know we have a huge infatuation with all things clever and this has it in spades. 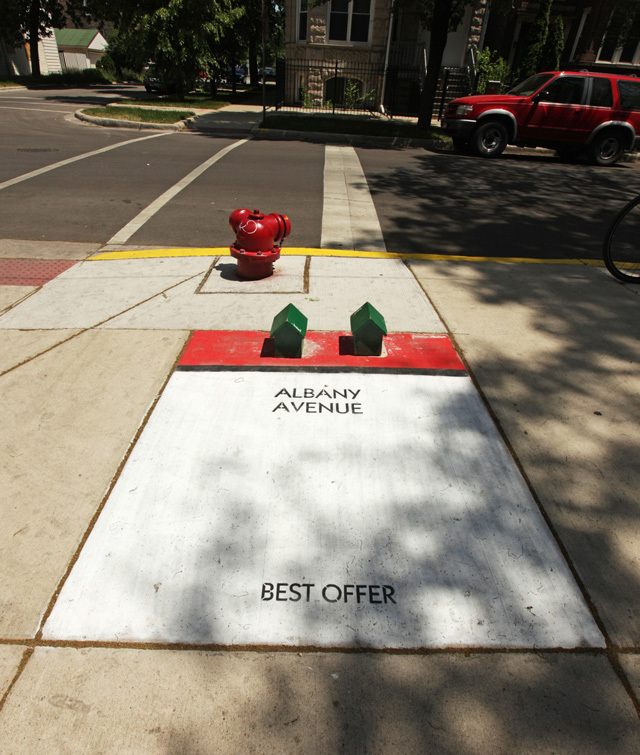 Artist “BORED” has turned the streets of Chicago into a real life Monopoly game. Roll them dice!